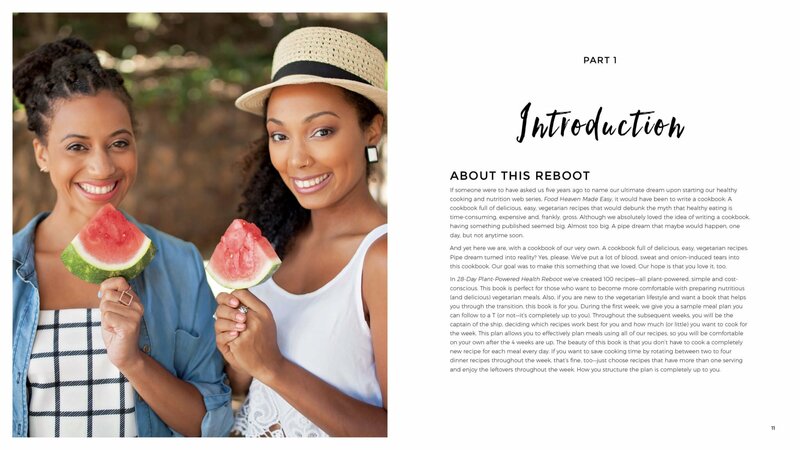 We’re officially, honestly, truly, and absolutely releasing our very own cookbook!! This is our dream come true since we started our blog 5 years ago. 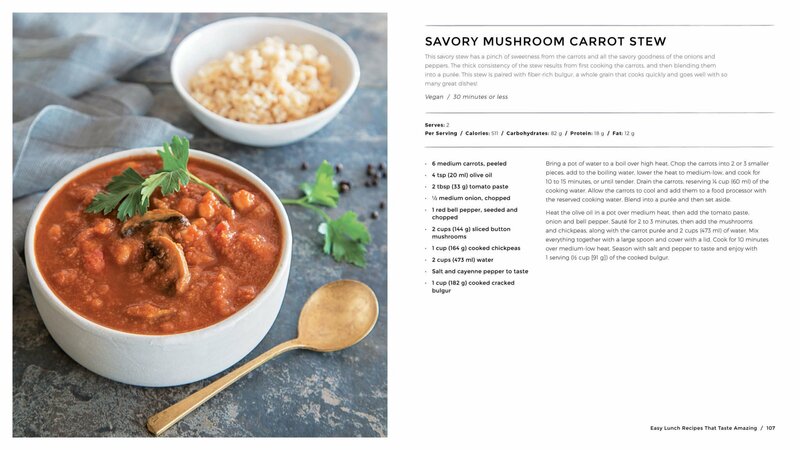 The book includes 100 original, simple and delicious recipes that you’ll love. 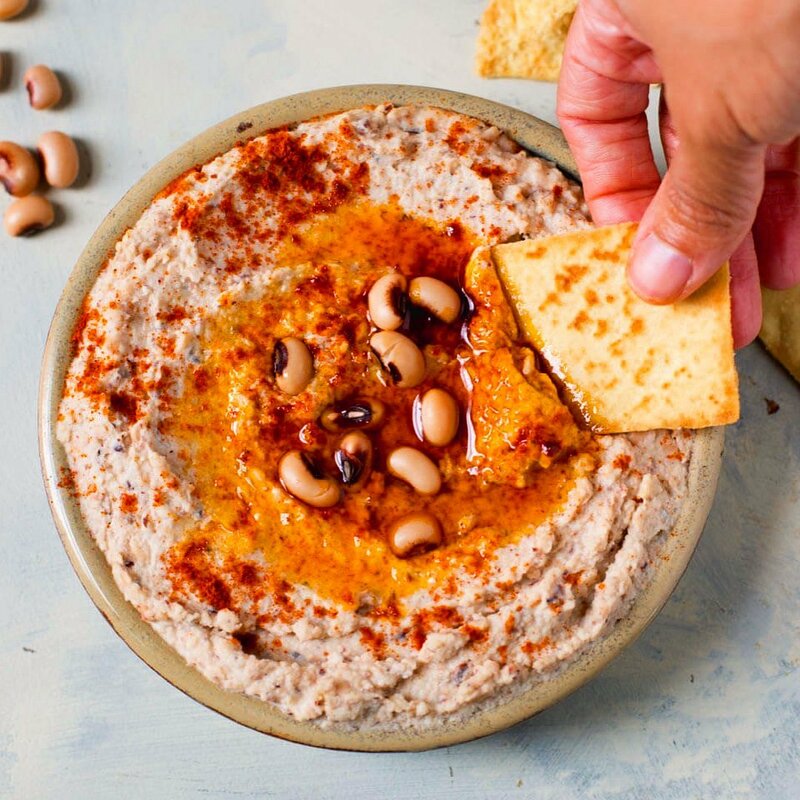 These recipes are brand new, meaning they have never been seen on the Food Heaven website before. 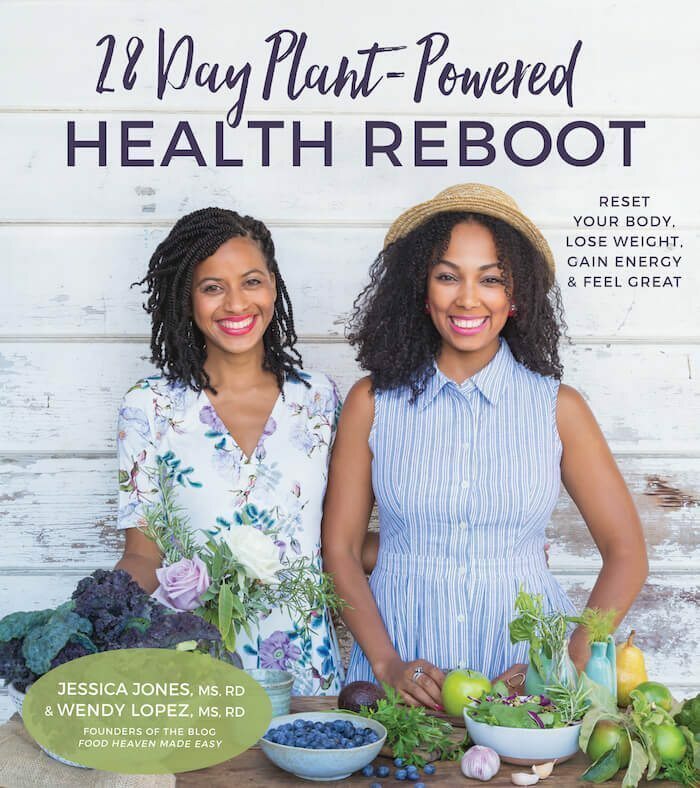 More than just a regular cookbook, the 28-Day Plant-Powered Health Reboot was created to help you upgrade your health, gain energy, and feel great. 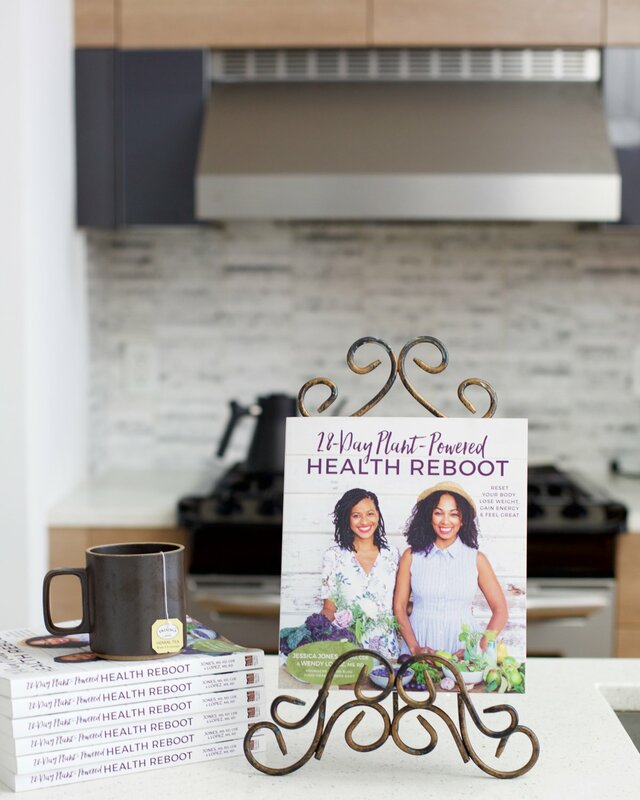 Since it’s written by two Registered Dietitians, you can rest assured that all the recipes in this book are as healthy as they are delicious. 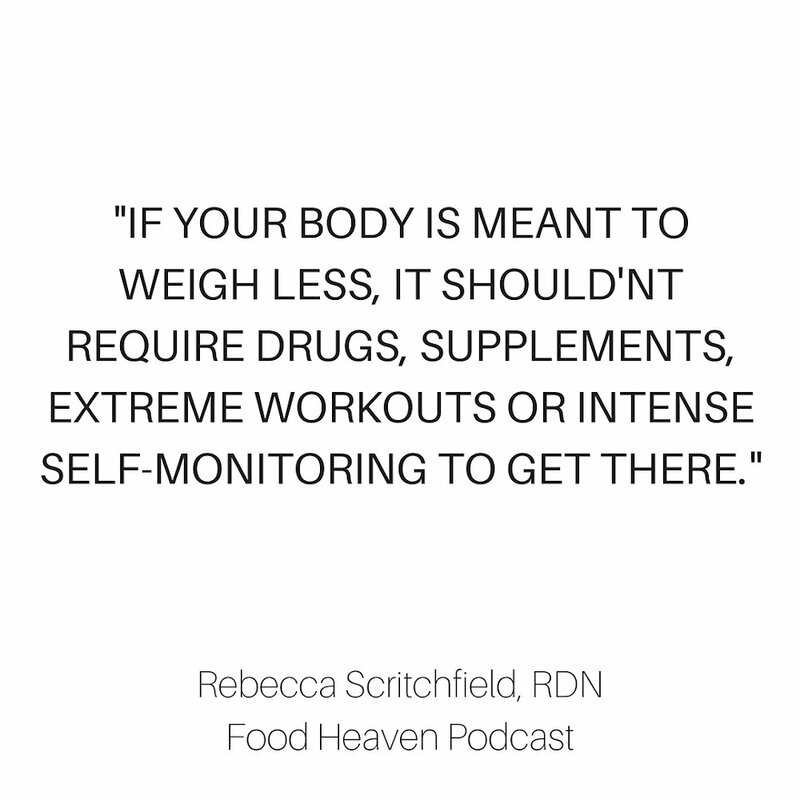 All of the nutrition facts — including calories, carbs, fat and protein — are provided for every single recipe. 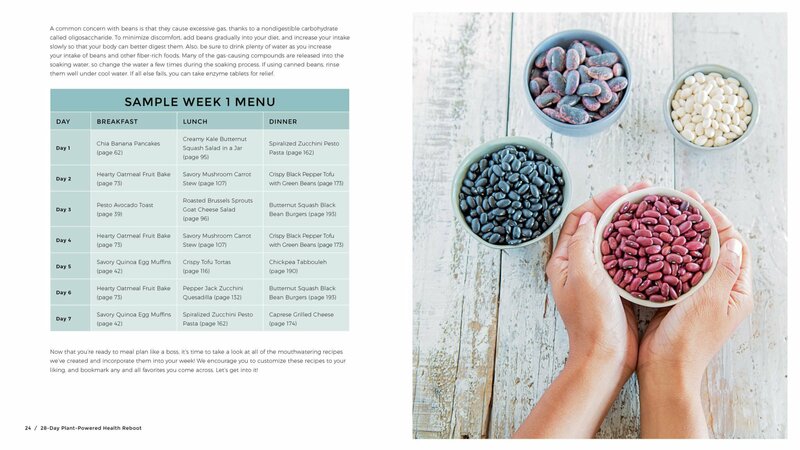 The-28 Day Reboot also includes completely customizable meal plan templates with 4 weeks worth of easy breakfast, lunch and dinner recipes to choose from. 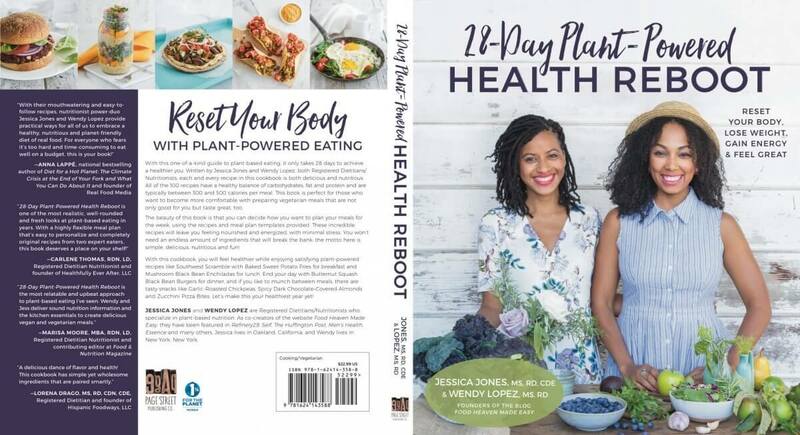 With the 28-Day Plant Powered Health Reboot, you’ll discover the power of plant-based eating to reset your body’s internal systems. You’ll feel better and reap the health benefits of this healthy diet while learning which nutrients are best, how to meal plan and how to get healthy. 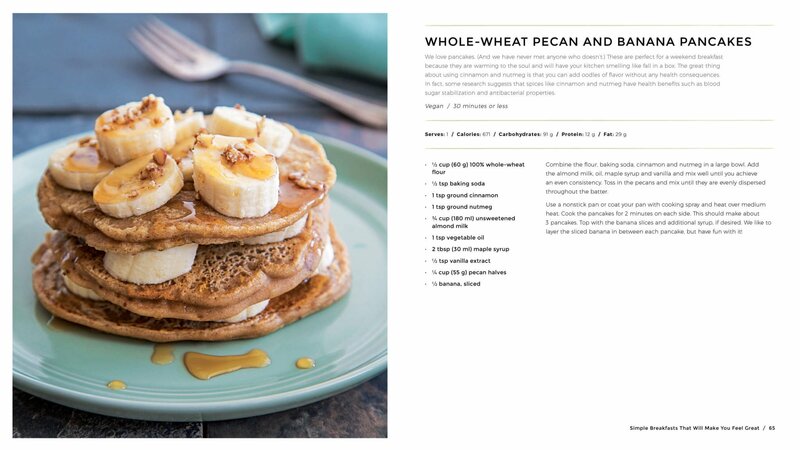 First, if you haven’t already, please take a second to cop the cookbook! We want to take this baby to the top of the bestsellers list, and we can only do it with the help of YOU. Second, if you already bought the book (thanks a trillion, for reals), please do your girls a solid and leave a cute little review on Amazon, Target, B&N, the Cookbook page (below) or any of the sellers mentioned above. It helps get the book in more hands, which supports our efforts here at Food Heaven Made Easy. I have been following y’all for about two years now and THIS IS THE BEST NEWS EVER! Congrats to you both! I can’t wait to read this! Thank you soooo much for the kind words and for being a part of the FH community! Means so much! 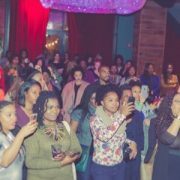 Loving your podcast and the work you’re doing in your community. So thrilled for your new book!!! Started out watching you guys on YouTube and been following you ever since. Looking forward to purchasing your book. Congratulations on your continued success. Keep up the good work. I love your blog it is very helpful. I ordered your book from my local bookstore. It’s going to take a week or two to get here, though, so I’m wondering if, while I’m waiting, you have suggestions for kitchen supplies. Do you have any particular items you recommend? Pots, pans, utensils, baking dishes? Thanks! Love the book! I’m going shopping today with my meal prep list in hand. I didn’t feel overwhelmed looking through the recipes, and I think my kids will enjoy making and eating it all too! Thanks for putting your heart and soul into this Wendy and Jess! I bought the book and have been on the 28 day challenge for 4 days now. In 4 days I lost 4lbs eating amazing delicious and realistic food. Over the past year and half I hit a point where I stopped caring about my health and I was eating fast food and whatever processed foods I wanted. I ended up gaining almost 60 lbs. I have been trying to lose weight but the extra weight and addiction to fast food made it seem impossible. I came across your blog and saw that you just created a cookbook. I was attracted to the words “reset your body, lose weight, gain energy, and feel great” on the cover. In my desperation of feeling sick, unhealthy, and wanting to become healthy, energetic, and cleanse out my body I bought it. It has truly been a life saver. All I did was follow your meal planning suggestions, picked breakfast, lunch, and dinner and it has been a delicious and easy journey. Today is the 4th day and I woke up finally having natural energy. You have truly made a cookbook that is my lifestyle and I plan on using this book for the rest of my life and all your recipes on your blog. Thank you for changing my life and helping me break my addiction to fast food. This cookbook has been a Godsend to me. I can’t wait till your next cookbook. OMG this means so much to us! In making the book, we really wanted to provide people with a helpful resource that would empower them to make real, lasting changes. 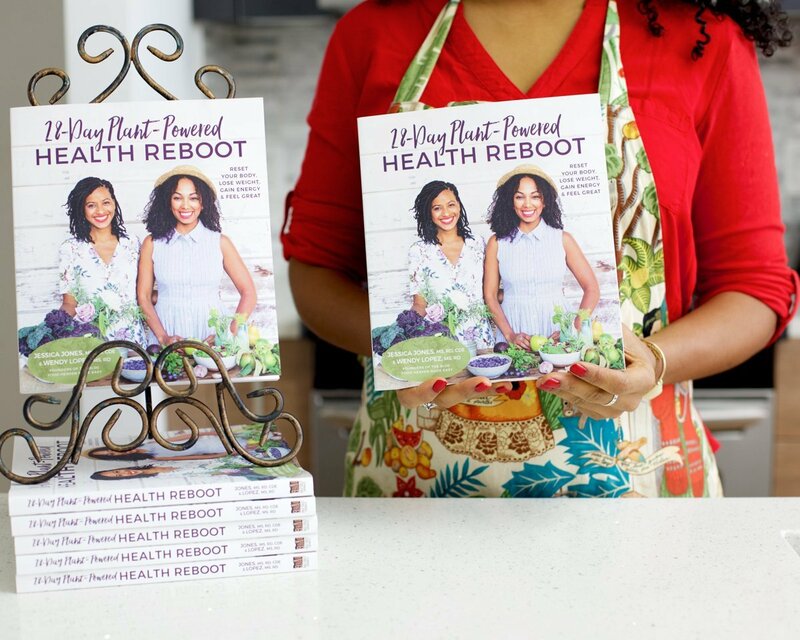 We are soooo happy to hear that this book has been useful, and hope that you continue to try out the recipes, and live a healthier life. Big hugs!! Hi I just came across your website and I love it. I want to buy this book but I was wondering if it’s a good book for beginners. I want to start a plant based diet and I have no clue how to start. It’s totally for beginners! We provide meal planning templates too to make things easier. Hope it’s helpful! Right on time. Just watched “What the Health” and decided whole family is going vegetarian to vegan. First week, so looking for recipes. I follow the blog, looking forwarding to purchasing the book this week. Oh great! Our book is not vegan. Some of the recipes include egg & dairy, and then we have a good amount of recipes that are indeed vegan. If you decide to purchase, we hope it’s helpful! Hi ladies! 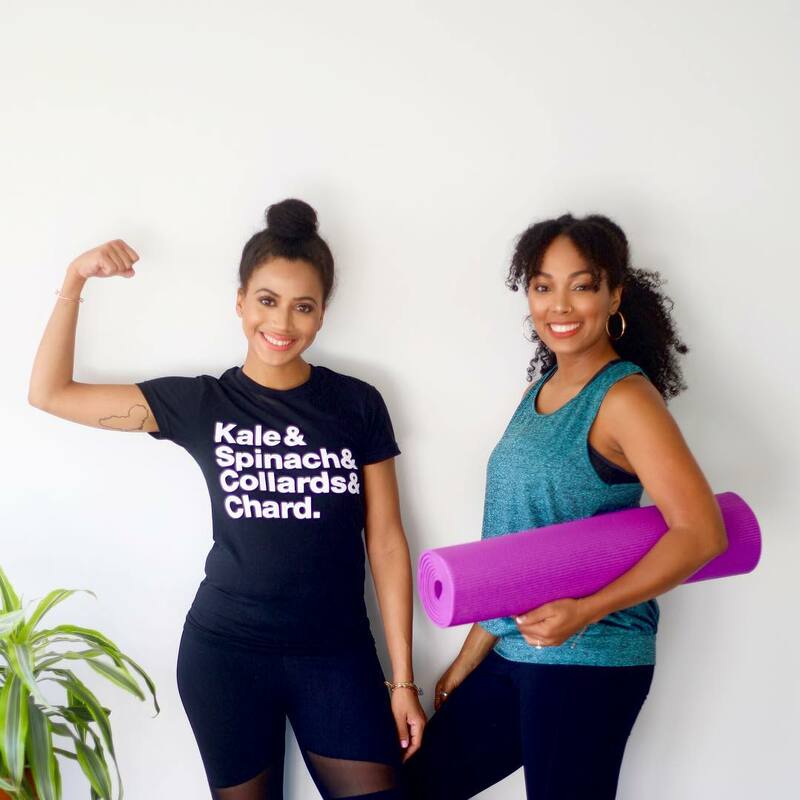 New to the Food Heaven world!I am so grateful to finally have a helpful resource on my own journey of wellness! 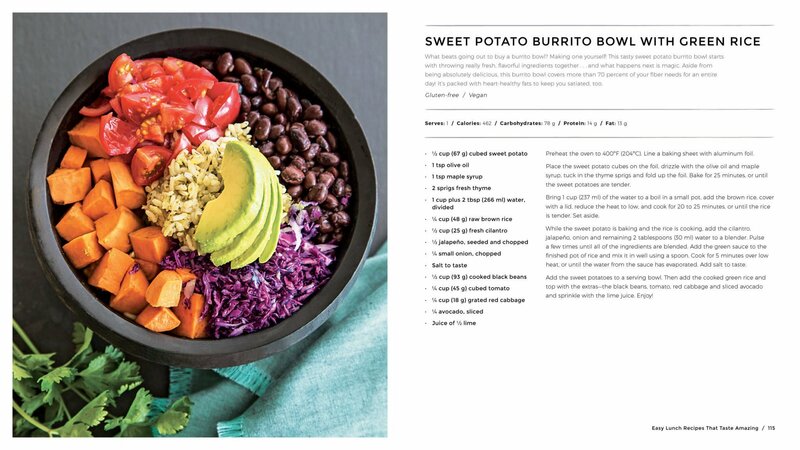 Are these recipes based on American diet chart or more alkaline based diet?